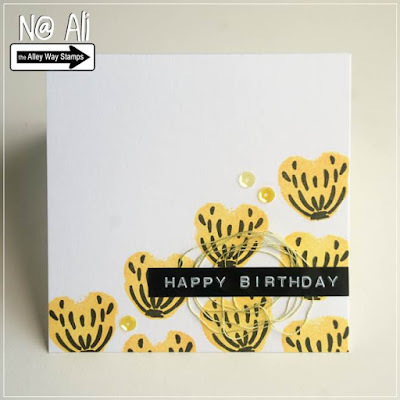 I stamped the flower in black, turned the stamp around then stamped in yellow. This makes me very sad. I love your cards and have gotten so many great ideas. I hope you still plan on posting.